Discussion in 'Android Lounge' started by gina222114, Aug 12, 2010. It looks amazing, which looks like a mini playstation. Cool!!! I hope it won't be another Nokia N-Gage. 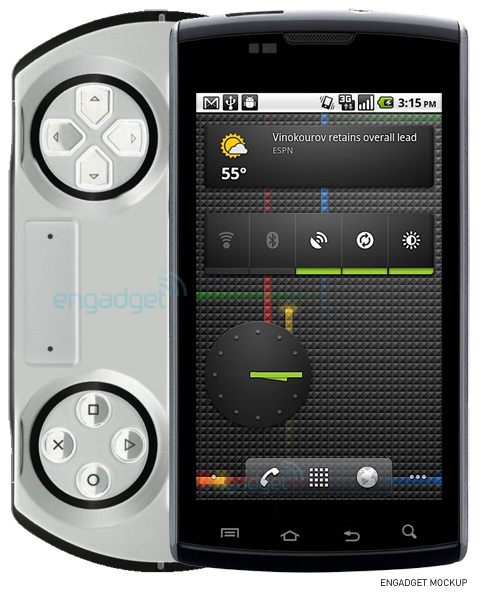 Hate to break it to you but that picture is just a mock-up of a PSP Go. Ima sell my Legend if this idea turns out to be successful. I have a feeling this is going to be a miss more than a hit! I want to see more real 3D games. Enough of the simple 2D puzzle games that you finish in a day.